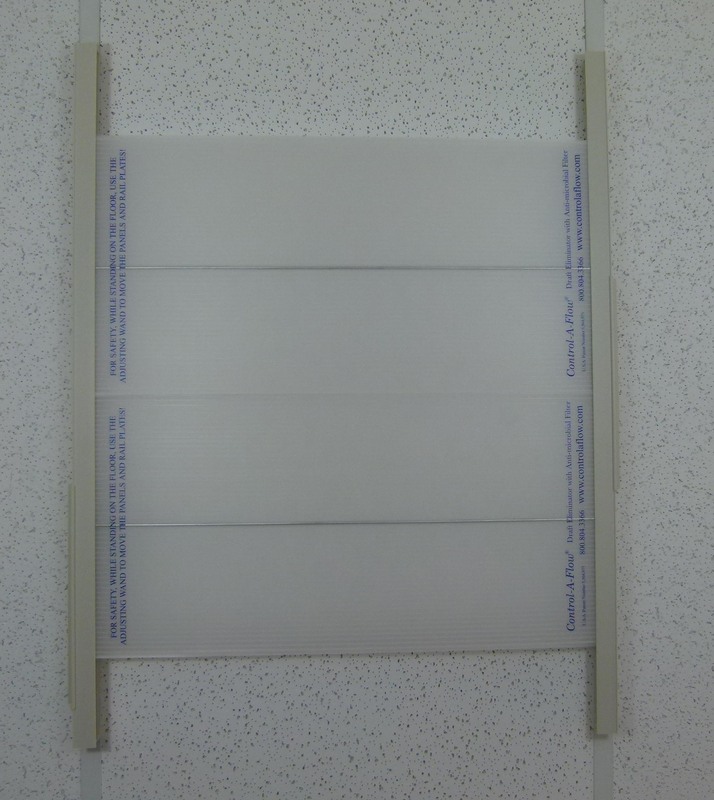 Get your Control-A-Flow Draft Eliminator with or without an anti-microbial filter. 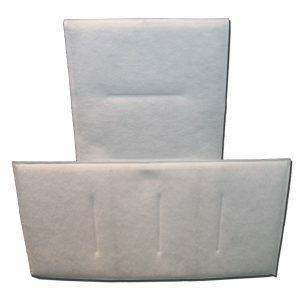 These ceiling air vent deflectors or diverters help divert cold or hot air away from occupants sitting below the air diffuser or vent. 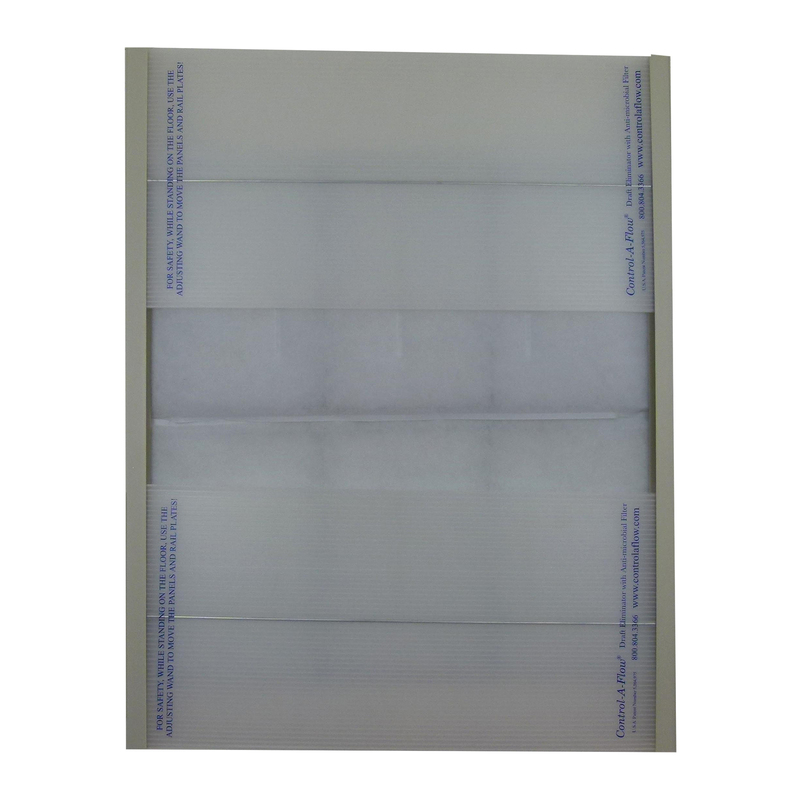 If you need replacement filters for the Control-A-Flow or Breathe Easy – Single sets and Ten Packs are available here. If you’d like to eliminate the problem of drafts from overhead vents, check out the Control-A-Flow Draft Eliminator with or without a filter from Comfort First Products. 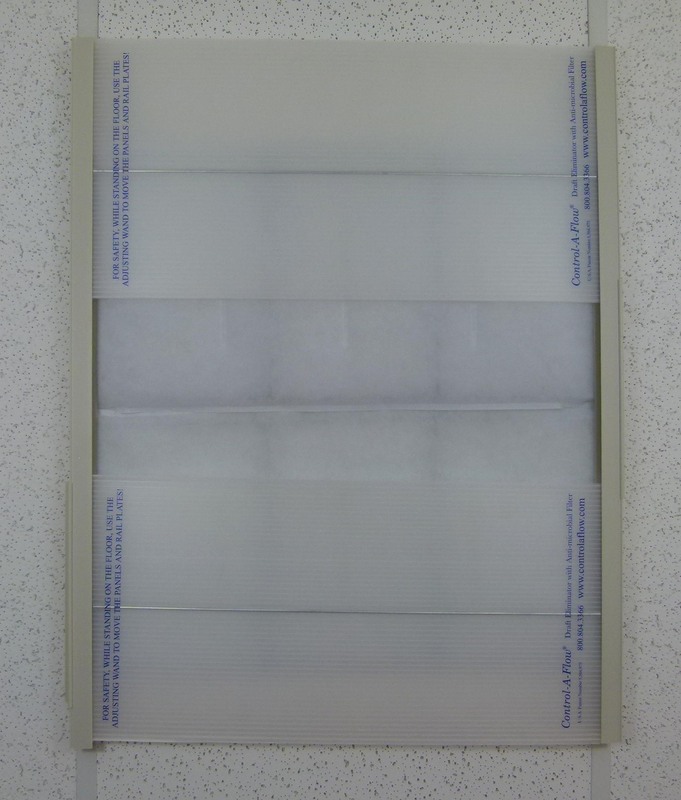 The filtered model removes allergens, dust, bacteria, debris, molds and other bacteriological elements before they enter the room. 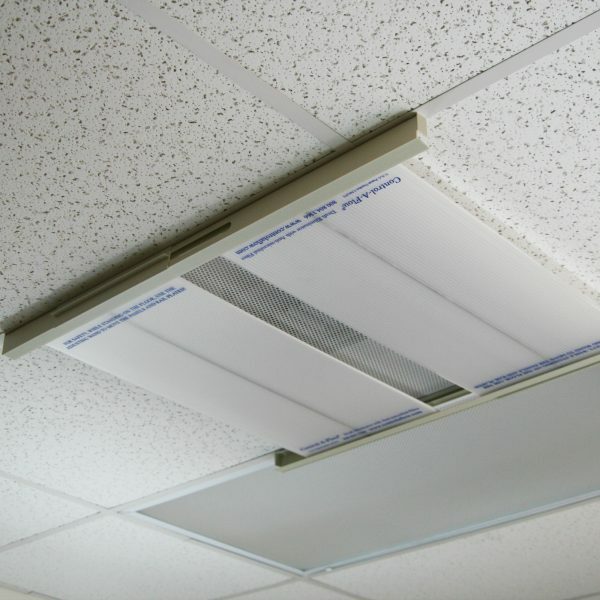 Our Ceiling Air Diverter will help with Draft elimination can reduce the flow of air that is expelled, the amount of sick time that needs to be taken, and the problem of uncomfortable employees. 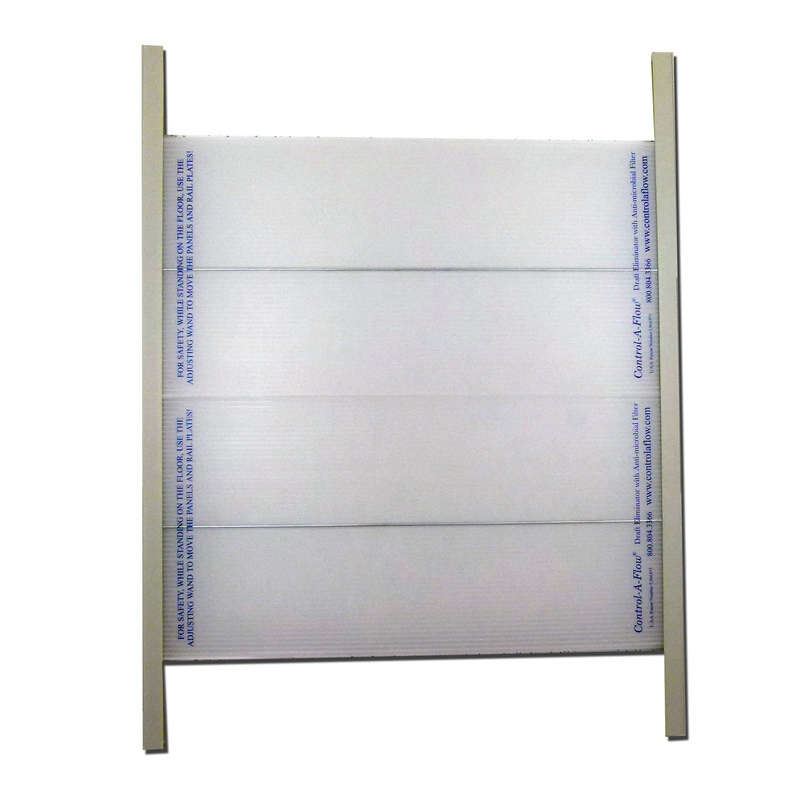 This light, unobtrusive, perfectly balanced draft eliminator installs easily and is versatile enough to be relocated if necessary. 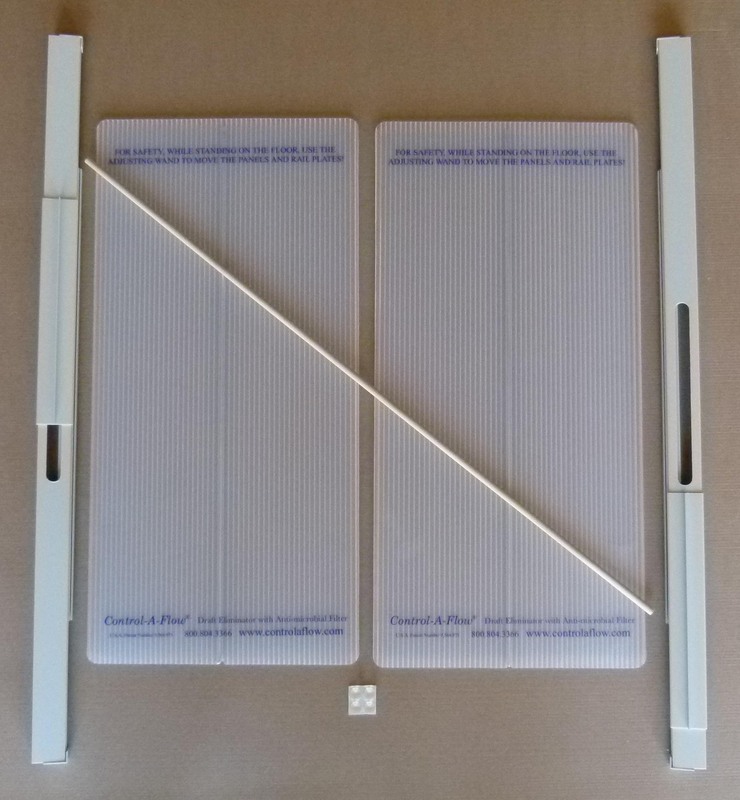 The Control-A-Flow Draft Eliminator is the original commercial air deflector and air diverter sold since 1995! 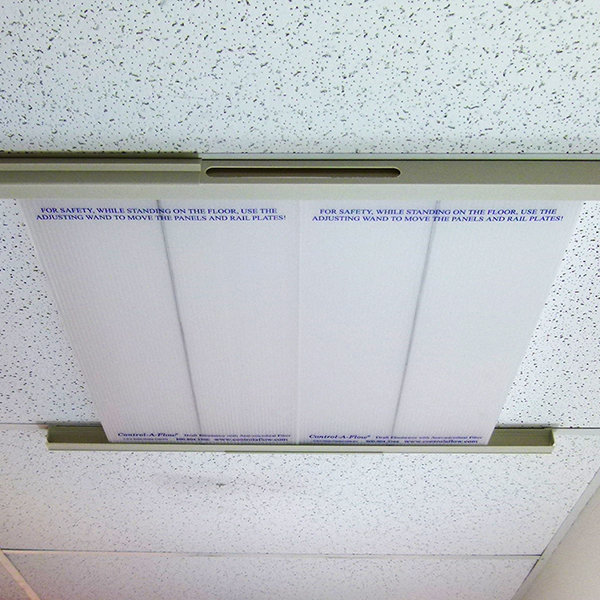 It deflects air from overhead vents to follow the ceiling line, rather than blowing onto people. 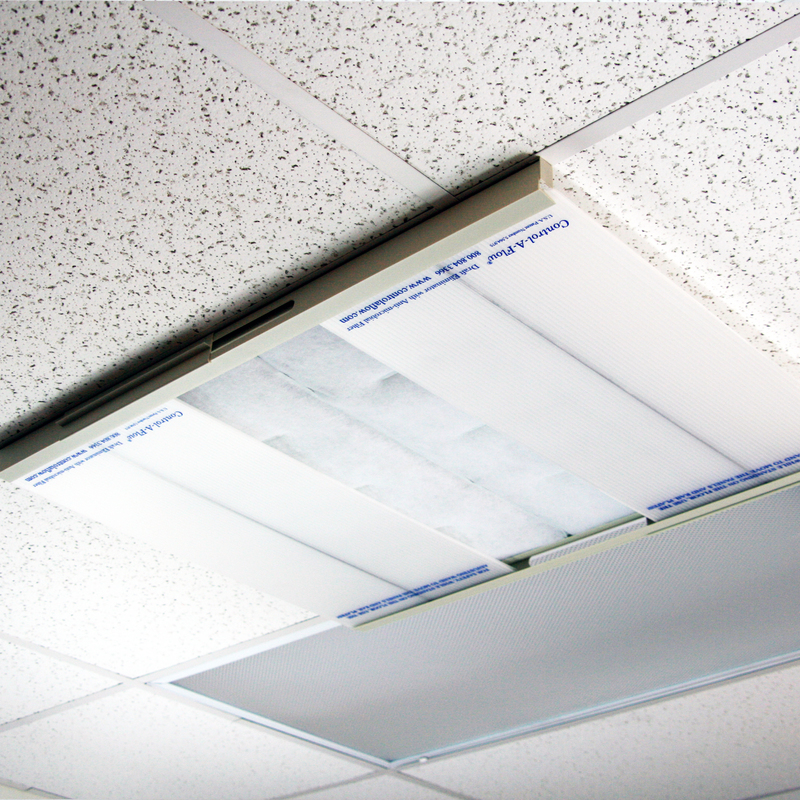 After an easy, step-by-step installation, the air is redirected along the ceiling line, eliminating the cause of drafty air complaints. Installation takes about a minute and the only tool needed is a ladder. What are you waiting for? Install the Control-A-Flow Draft Eliminator with or without a filter today! Would you like us to include a Filter? Save money with a value pack!